Tata Consultancy Services (TCS) is the Title and Technology Sponsor for the TCS New York City (NYC) Marathon; it’s also the premier, year-round partner of New York Road Runners (NYRR), the event organizer. 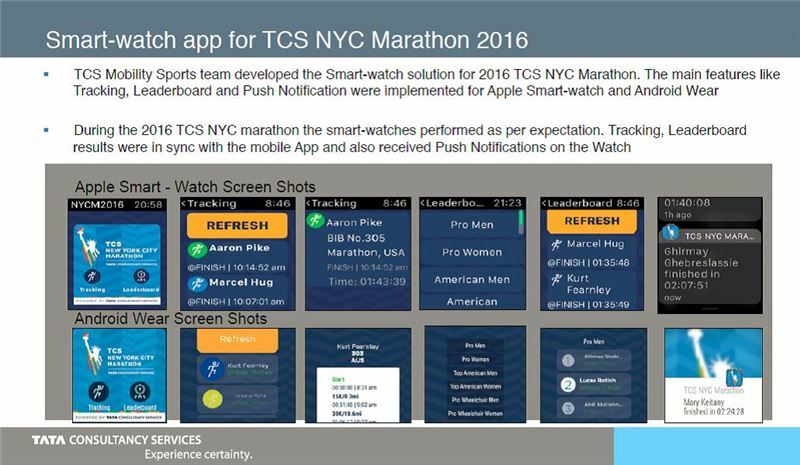 For the 2016 TCS New York City Marathon, which took place on November 6, TCS created the event’s mobile application with the goal of cultivating the most technologically advanced and socially engaged marathon in the world. 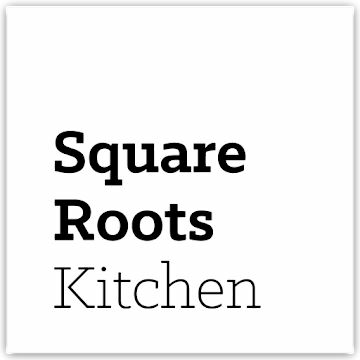 The app (available for both android and iOS) was created using the latest design techniques, frameworks and SWIFT 2.0., and was scalable enough to support 300,000 concurrent users. •	Live, on-map tracking of runners—allowing users to follow up to 20 runners in real-time. 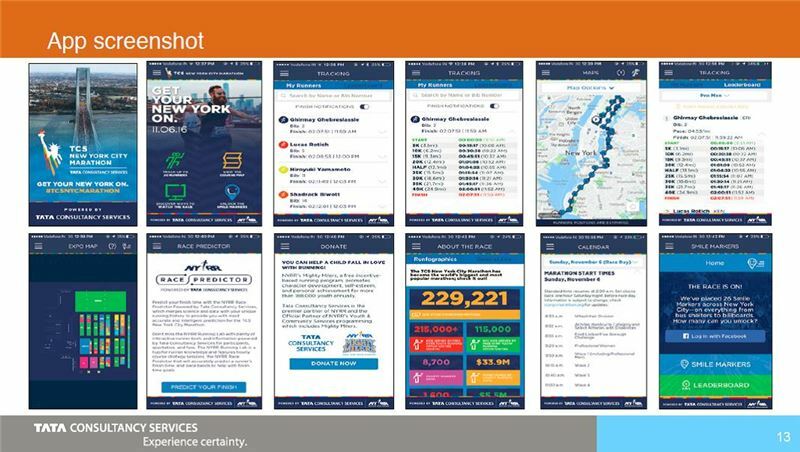 •	NYRR Race Predictor Powered by Tata Consultancy Services—used each runner’s unique running history to predict accurate finish times. •	The Live Pro-Athlete Leaderboard – providing the list of leaders every five miles. •	An interactive map to guide users through the TCS New York City Marathon Health and Wellness Expo, and ‘connected’ maps of the race course and subway to plan where to see and cheer on specific runners. 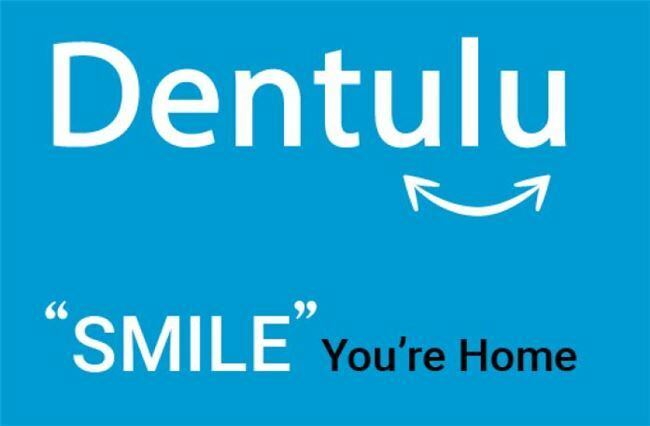 •	Smile Markers - allowing runners and spectators to learn more about the race, the course and the city that plays host to the world’s largest marathon. •	Additionally, the app provided a vibration alert when tracked runners crossed the finish line. With 1.5+ million on-site spectators lining the Marathon course, and 51,000+ runners, it used to be virtually impossible for spectators to find their loved ones as they ran. But with the mobile app’s enhanced tracking capabilities, friends and family were able to see on a map the exact whereabouts of their runner(s), knowing exactly where and when to cheer, provide a hug or offer encouragement. And beyond spectators in NYC, friends and family could track runners from the comfort of their home and sent support from afar.  This feature is unique to the app and isn’t available on any other marathon mobile application in the world. As a result of its innovative features that bolstered the spectator and runner experiences, the app was ranked as the top free sports app and featured as a best new app in the Apple App Store on Race Day. It was also downloaded more than 316,000 times (most ever for the TCS NYC Marathon or any other marathon) and generated increased usage of 70 million data points accessed from 53 million in 2015. The success of the app played a critical role in showcasing the technical expertise of TCS and raising awareness of the brand to a broad audience, with many of the runners and their support community being target business executives for TCS. Furthermore, in being a B2B company, it demonstrated a great example of the ‘front end’ technology that TCS creates for many of its customers (e.g. a third of the Fortune 500 in the US across retail, banking, manufacturing, telecom, media, insurance, etc).